This is one of the most perplexing books I’ve read in a long time. I should have expected that from Wallace, whose Infinite Jest sent my mind reeling in eight different directions (although I still loved it), but the mixture of lucidity and surrealism here cast a strange tone over the whole narrative. A collection of short stories, the highlights for me here were Good Old Neon (which I’d read before) and Another Pioneer. The former is a powerful portrayal of suicide, bleak but with one of the most electrifying and beautiful endings I’ve ever read. The latter is the retelling of a retelling of a retelling of something that was overheard on a plane, the tale of a savant living in a tribal culture which examines tradition and the human aversion to change. Some of the other stories, however, dragged. The Soul is Not a Smithy had some fantastic descriptions of daydreaming, but the rest never amounted to much. The Suffering Channel could have been cut by a third and not lost much, in my opinion. Oblivion, the title story, felt like it was going nowhere but then saved itself with a really simple (almost cliche) but somehow incredibly unexpected ending. 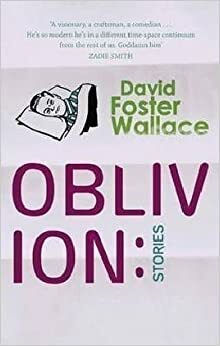 Not my favourite DFW so far, and I definitely wouldn’t recommend this to someone who hadn’t read him before, but Oblivion was still extremely ambitious and at times brilliant.